It’s time for Cupid to do his work again. 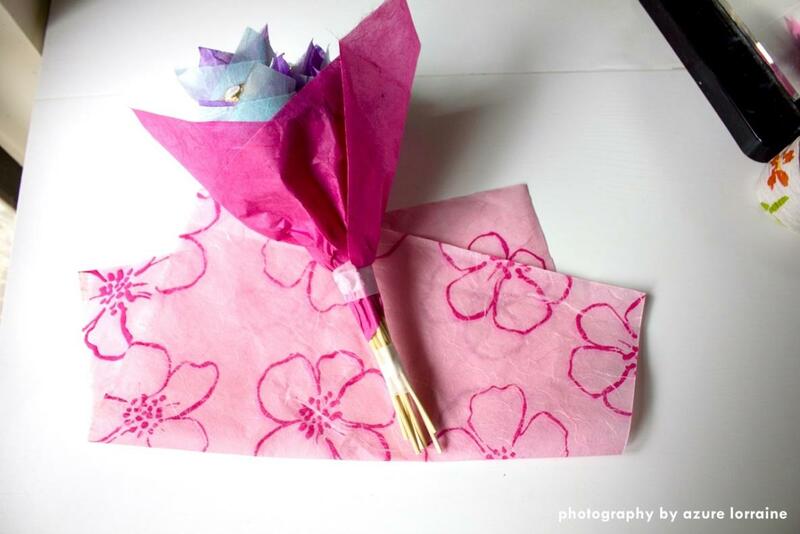 If you are still struggling with unique presents for your better half, why not make something yourself? 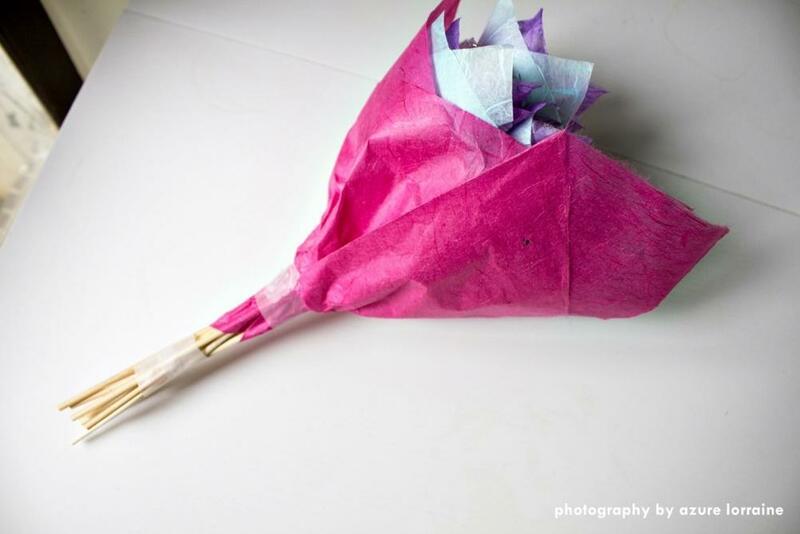 If you can manage it, you could craft a romantic love poem, but for those of us without the Shakespearean touch it is easier to make something with our hands than to immortalize our love in eternal lines. So, for us lesser mortals, why not speak the flower lingo to show your affection. Did you know 1 flower means love at first sight; 3 flowers mean I love you; 9 means an eternal love and 11 means you are my treasure one? 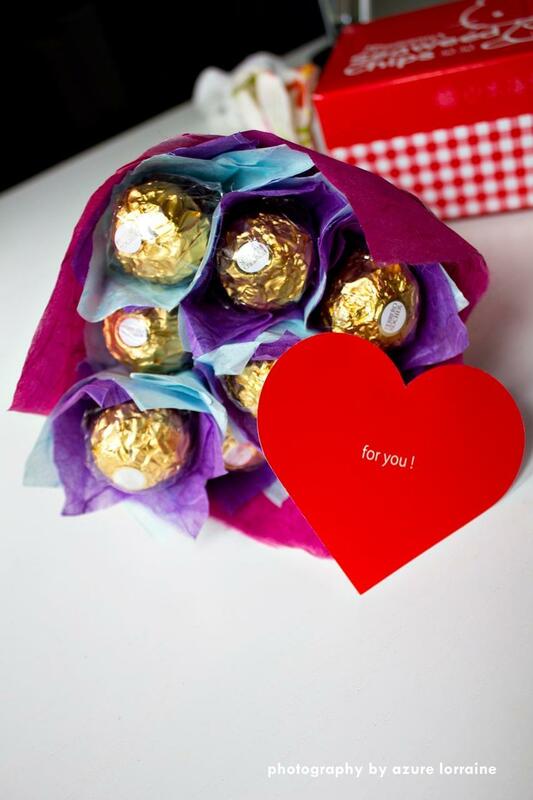 So today we are going to show you how you can use the flower lingo to express your love and save a buck or two by creating this romantic Ferrero chocolate flower bouquet! 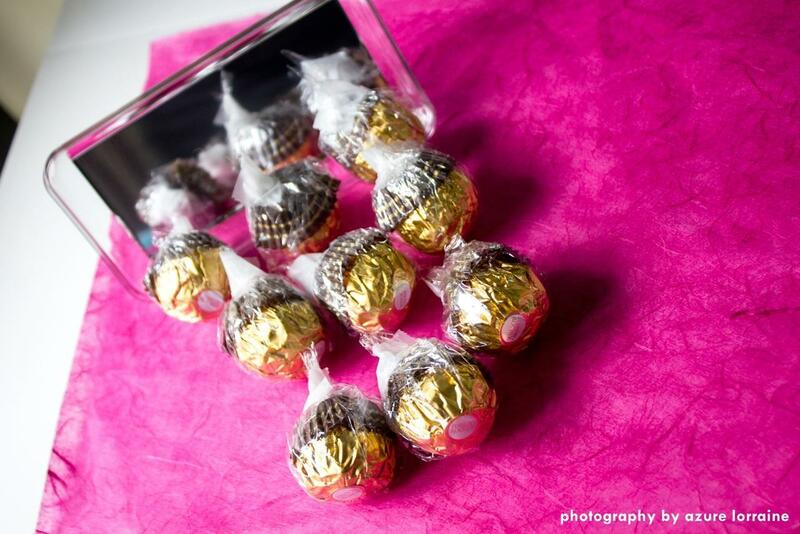 You will need 9 small (12cm) squares of clear cellophane for chocolates. 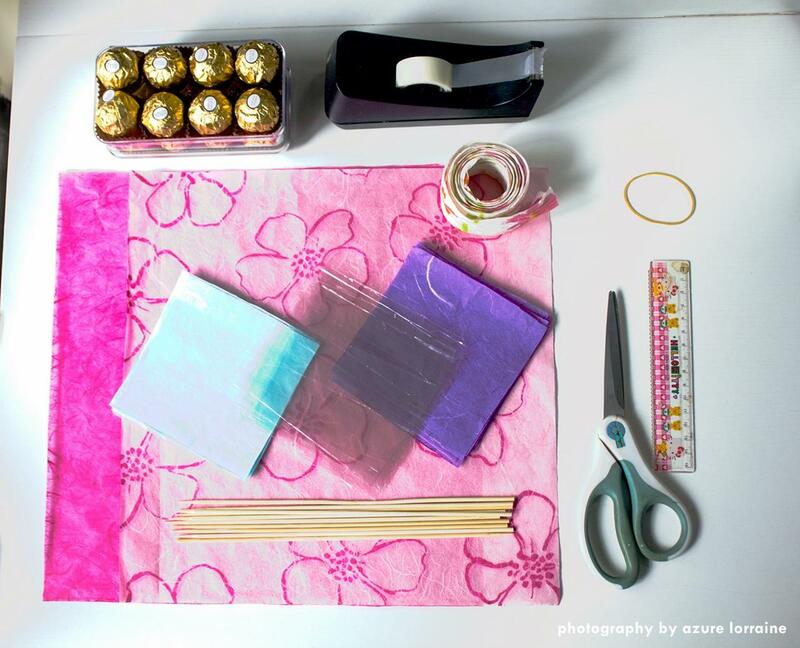 You will need 2 small (12cm) squares of paper for each chocolate. So cut 9 small squares for each color. 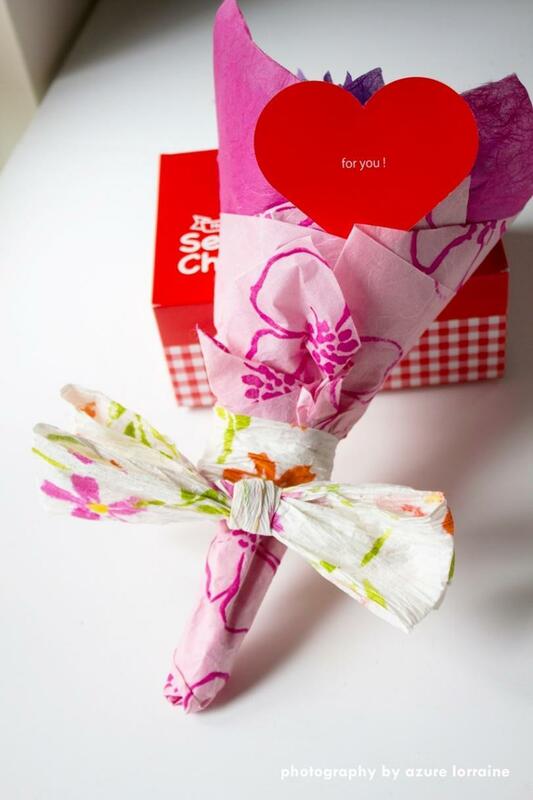 You will 3 large (34cm) squares for wrapping the bouquet. 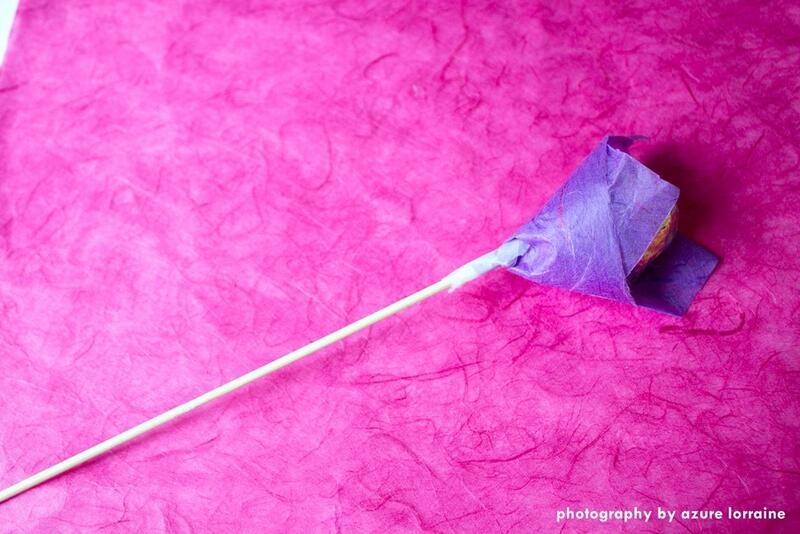 Step 3: Next, place the sharp end of satay stick into 2/3 of the chocolate. Be careful not to pierce through the top of the chocolate. 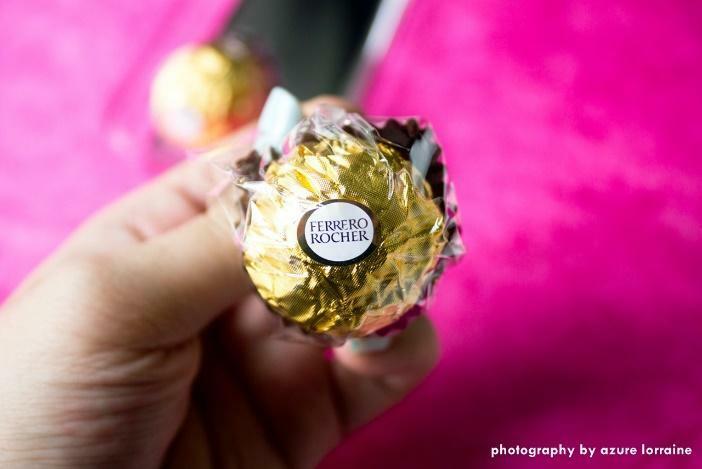 Repeat the steps with the remaining Ferrero chocolate. 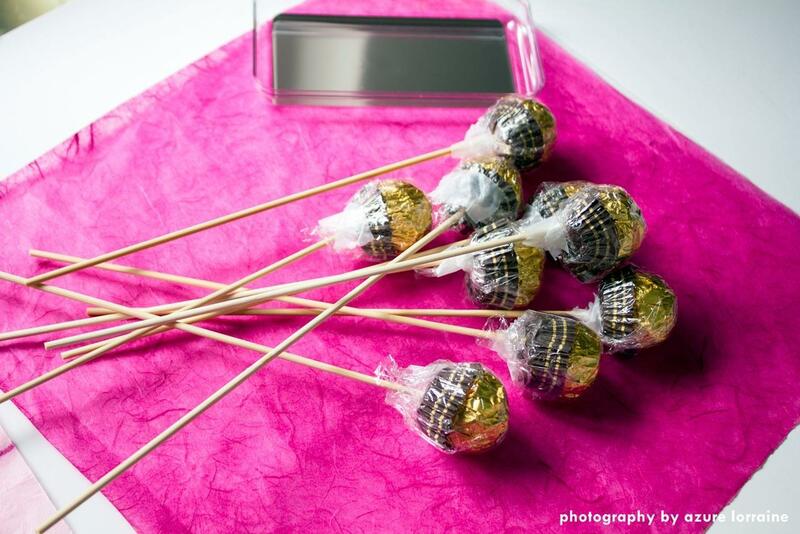 Secure the chocolate and sticks with tape. 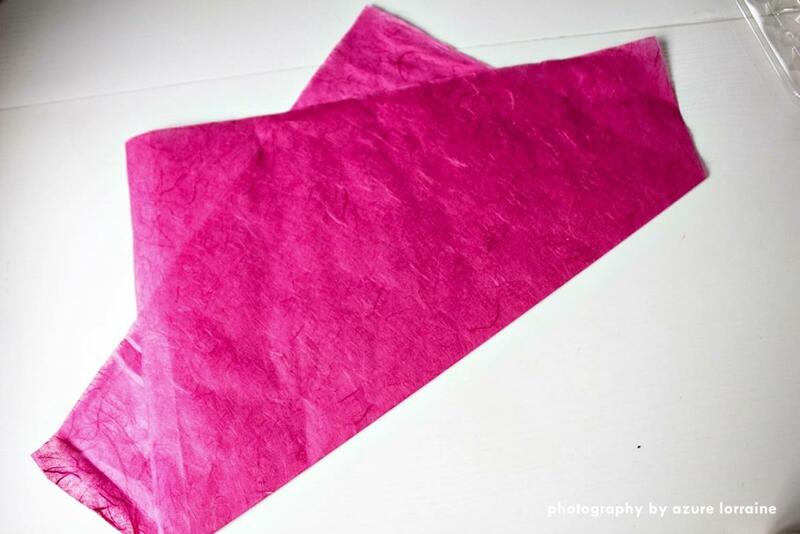 Step 6: Fold the rice paper diagonally to create the base. Make sure you can see all four corners. 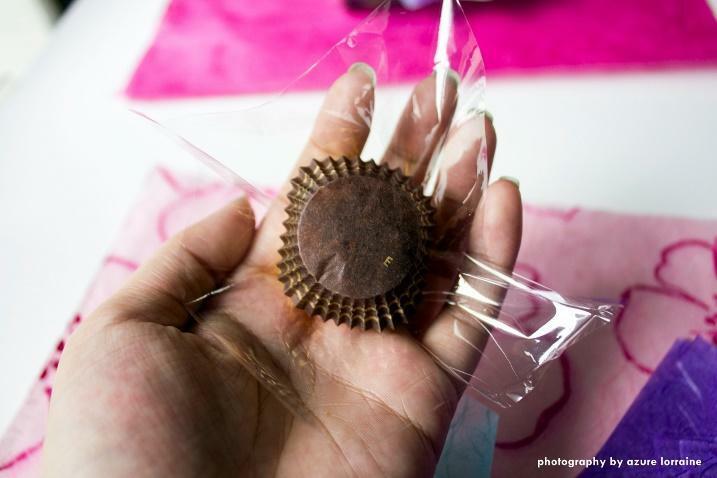 Wrap the chocolate with the rice paper and secure with tape. Step 7: Repeat step 6 to create the 2nd layer using the 2nd color paper squares. 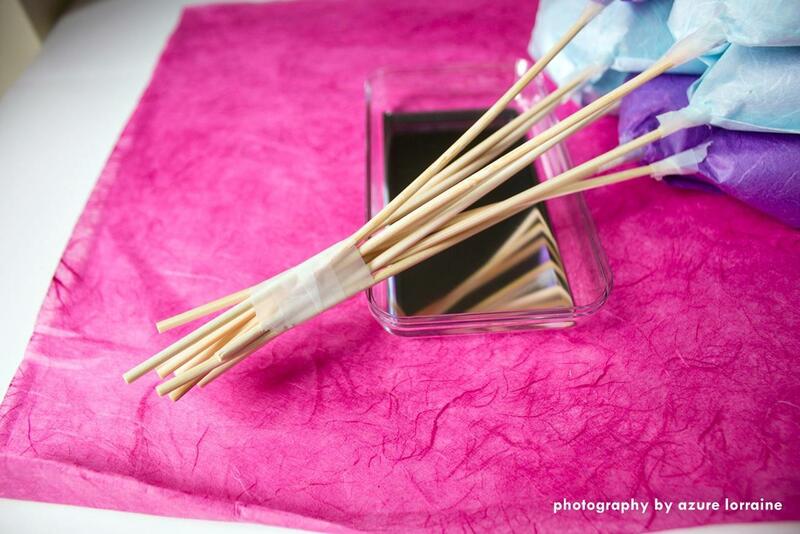 Step 8: Secure the chocolate sticks with tape. 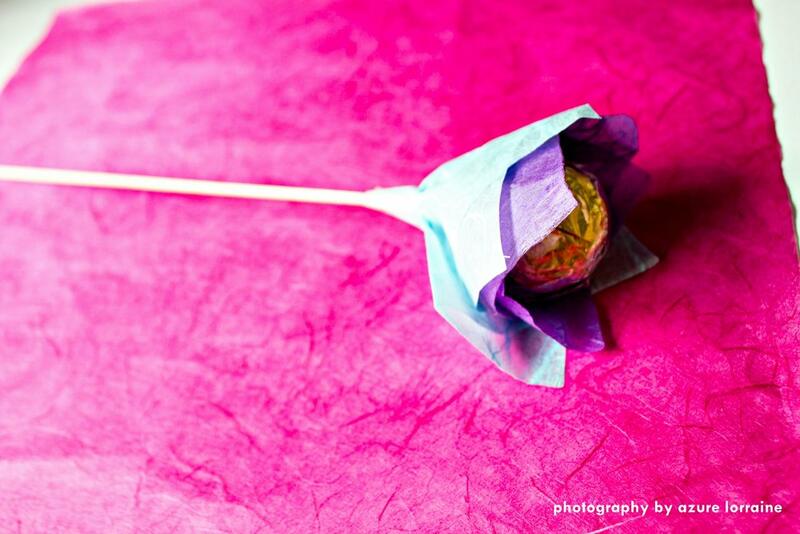 Step 5: Position the chocolate bouquet in the middle of the 3rd large rice paper square. 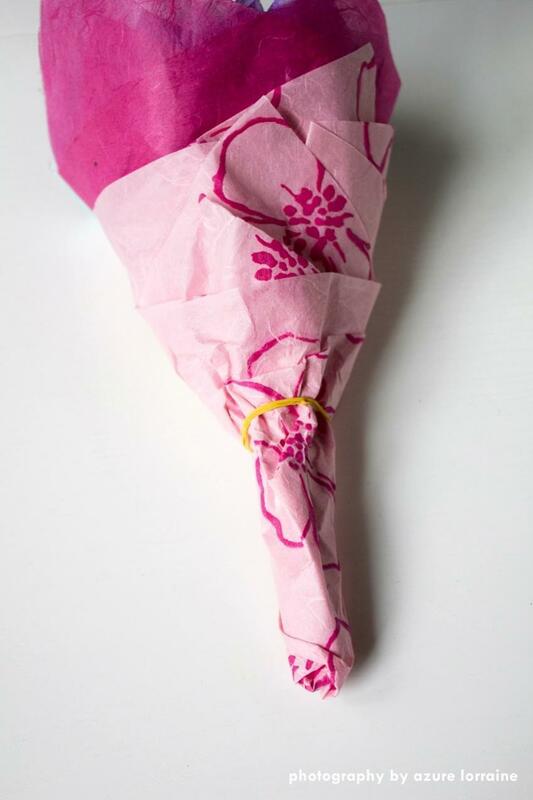 Fold and secure the end part with a rubber band. Step 6: Secure the base with a rubber band. Step 7: Now decorate and finish up with a ribbon of your choice! Voila! 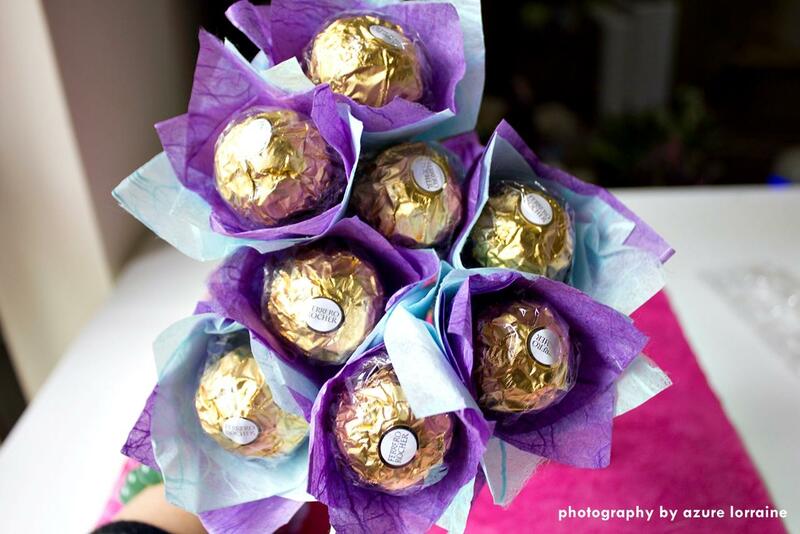 Your Ferrero chocolate flower bouquet is complete! 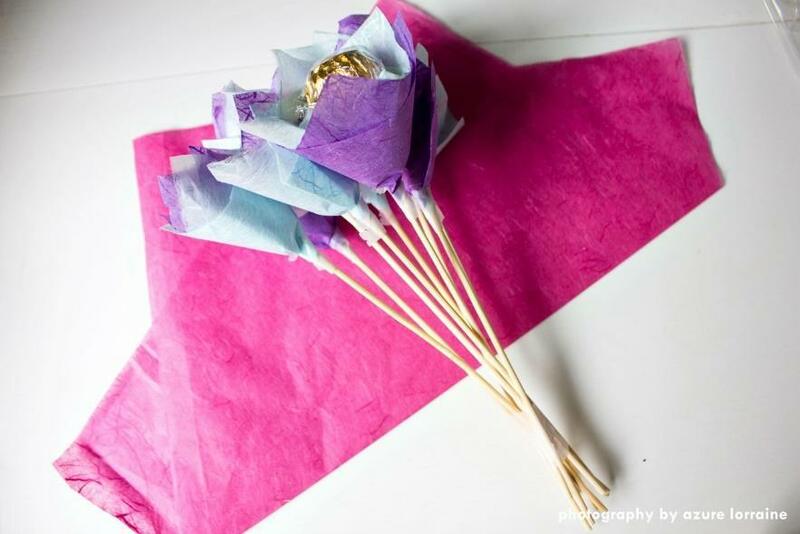 Now go write a lovely sickly sweet message (or a love poem to show off your talent) to go along with your handmade chocolate bouquet! On behalf of foodpanda team, we wish you a very cuddly Valentine’s Day! Azure Lorraine is an adventurous food and life lover from sunny Cali. 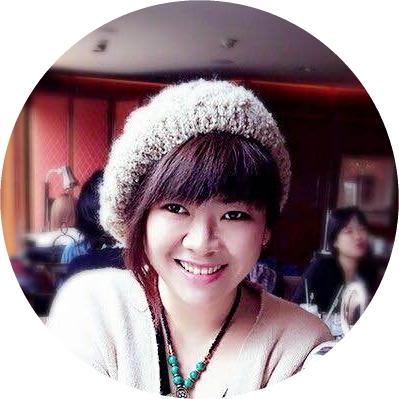 She enjoys writing about anything from food, lifestyle to mindfulness. Follow her scrumptious and vibrant journey around the world on Instagram @azuyuzu852. Very cute!!!! Thanks a lot for sharing!! !